This Vax Total Home contains 4 machine washable microfibre cleaning pads and a free washbag, for you Vax steam cleaning mop with triangular floorhead. The 4 different colours allow you to co-ordinate your cleaning by room or by surface. 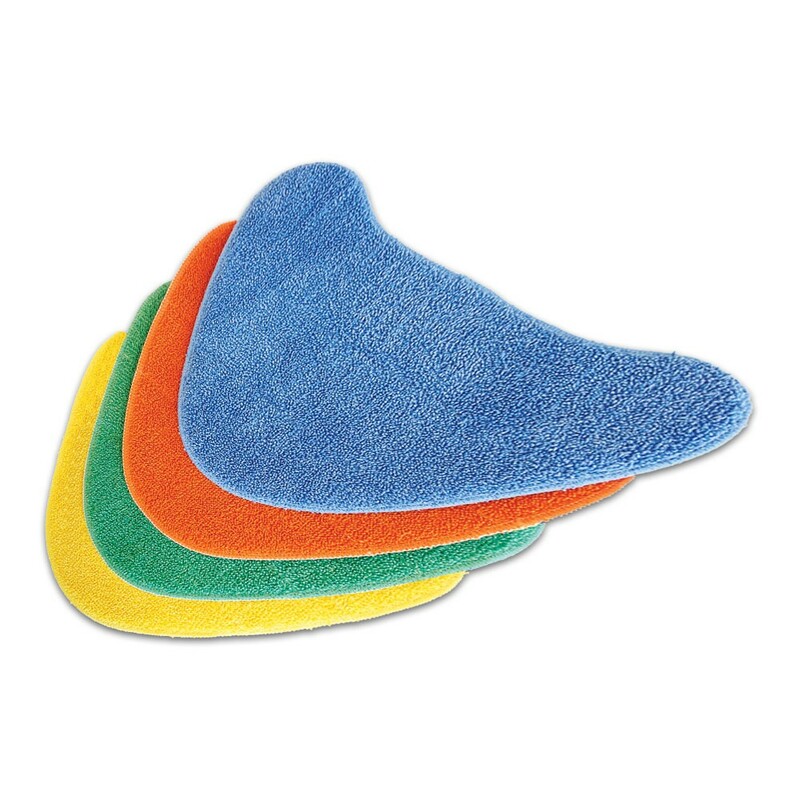 Microfibre pads work be encapsulating water and spillages to provide an effective clean for your hard floors. Vax Total Home Microfibre Cleaning Pads (x4) is rated 1.0 out of 5 by 1. Rated 1 out of 5 by qld1 from Does not fit yet description says fits all models Does not fit yet description says fits all models . I want to buy some more cleaning pads for my new Steam mop. Pads IPX4, but Iam hesitant to buy because they may not fit.